Disinformation is defined as ‘misinformation that is deliberately disseminated in order to influence or confuse rivals.’ It is used by governments to mislead and brainwash their citizen populations, instigate wars, and blackmail foreign regimes. It is the ultimate instrument of the media. The most effective disinformation is that which is comprised of falsehood as well as facts. Wikileaks, founded by Julian Assange, fits this description perfectly, right down to the letter. Seemingly overnight, it has become one of the biggest ‘whistle-blowing’ agencies in modern history. In reality though, it is one of the biggest disinformation projects in modern history, and it may be the most dangerous because it is masquerading as an organization of truth. 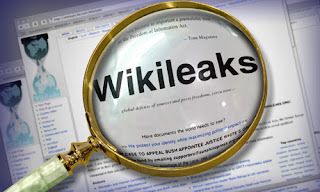 The information released by Wikileaks isn’t new; it isn’t groundbreaking; it doesn’t hurt the US as much as people think, it’s fractional really; and it is overloaded with as much as propaganda as the day-to-day Zionist media is. This propaganda is benefitting someone. And that someone is the illegal usurping entity of Israel. Even the Israeli government itself thinks so (1). A final note needs to be made about Julian Assange, the man who has been praised as a freedom fighter, a revolutionary and a friend of the oppressed people. In a recent interview, he stated, "I'm constantly annoyed that people are distracted by false conspiracies such as 9/11, when all around we provide evidence of real conspiracies, for war or mass financial fraud (35)." It’s shameful that Assange is annoyed by those seeking truth regarding the reason 1.5 million innocents are dead in occupied Iraq, 1.2 million innocents are dead in occupied Afghanistan, and thousands of more innocent men, women and children are dead in occupied Palestine, Lebanon, Pakistan, Yemen and Somalia. 9/11 is anything but a false conspiracy; there is overwhelming evidence that American and Israeli officials didn’t just have foreknowledge of the event, but planned the attack and carried it out. It was a Mossad-CIA false flag used to protect the Zionist entity from any future military threat and expand the parasitic hegemony of the US and the illegitimate Tel Aviv regime throughout the world via the Zionist-inspired ‘war on terror (36).’ Someone insulting the seekers of 9/11 truth, slandering the righteous movement of Hezbollah, spreading propaganda about Iran which adds to the demonization campaign levied against the Islamic Republic by the Zionist lobby and the Zionist media, and deliberately leaving out Israeli crimes in occupied Afghanistan and Iraq is no freedom fighter; such a person is a liar and a propagandist. Just when it seemed that war criminal Barack Obama had reached the zenith of subservience to the Zionist entity, he takes his sycophancy to the next level. Obama has already signed a deal with Israel that granted it $30 billion in military aid alone over the next decade (1), and he has proudly declared that his administration has given more security assistance to the Zionist entity than any other administration in history (2). He has restored Israel’s ‘Qualitative Military Edge,’ which is an Orwellian phrase that translates to the US providing Israel with weapons, munitions, vehicles and other technologies to uphold the genocidal occupation of Palestine (3). He has gladly granted Israel $205 million for its Iron Dome missile defense system, which coincidentally, doesn’t work (4). He supports the internationally condemned, criminal, and inhumane blockade of Gaza (5). Despite the courageous efforts of Mordechai Vanunu that exposed Israel’s secret nuclear program to the world (6), Obama refuses to acknowledge Zionist nukes and has promised to maintain ambiguity about the illegal nature of the program, as well as defend Israel’s refusal to sign the Nuclear Non-Proliferation Treaty (7). He has increased American-Israeli military cooperation through joint training exercises, most notably Operation Juniper Cobra, which was designed to provoke Iran (8). All of Obama’s high-ranking intelligence officials have traveled to the usurping Zionist regime to discuss US-Israeli collaborative plans for the future of the Middle East (9). Obama has prepared to provide the Zionist air force with the F-35, the latest Lockheed Martin fighter jet equipped with stealth technology; and has even gone a step further to appease his close friends in Tel Aviv by offering $4 billion to Israeli defense contractors to supply parts for the F-35 (10). But these impassioned displays of solidarity with the barbaric Israeli entity weren’t enough. In his most recent public address, Obama decided to present Israel with yet another gift though he didn’t admit it openly. His speech was centered around ‘clean energy’ policies and their grave importance to the new global economy. He trashed India, the occupier of Kashmir, as well as China, and boasted that the world’s largest solar energy plant was located in the US, in the state of California. The plant was operated by a firm named BrightSource (11). Obama authorized the Department of Energy to issue a loan to BrightSource worth $1.37 billion (12). Despite Obama’s nationalistic rhetoric to galvanize environmentalists and his Democratic base, the plant wasn’t Californian. It wasn’t even American. BrightSource is a company founded by a Zionist, operated by Israelis, and based out of occupied lands in Jerusalem and Al Naqab (13). BrightSource’s founder and chairman emeritus is Arnold J. Goldman, a staunch Zionist who was honored with the ‘Builder of Jerusalem’ award (14) by Aish HaTorah, a radical Zionist organization that operates rabbinical schools for Israeli occupation forces, spreads pro-Israel propaganda through its Hasbara Fellowship programs, and supports the building of illegal Zionist settlements (15). Goldman describes himself as a ‘serious’ Kabbalist (16), a student of ‘Jewish’ mysticism that is deeply rooted in racism and xenophobia (17), and he also is one of the founding members of the International Board of Governors of the Jerusalem College of Technology, which produces advisors for the Israeli Defense Ministry, trains vehicle and aircraft mechanics for IOF, and prepares students to enter the Israeli Communications Corps and Intelligence Corps (18). The chief operating officer of BrightSource is Israel Kroizer, who also heads Israel Cleantech Ventures, a company that according to its website, receives research and development support from Israeli governmental entities. BrightSource’s vice presidents, Yoel Gilon, Jose Barak, Gabriel Kaufman, and Shmuel Huss all worked for Arnold Goldman at his previous company Luz International Ltd., which had constructed the world’s largest Solar Electric Generating Systems with the full backing of the Tel Aviv regime in occupied Al Naqab (19). Obama has touted BrightSource as a part of his clean energy initiative, but there is nothing clean or environmentally safe about the Zionist firm, especially its investors. BrightSource has raised $160 million in operating capital through several energy companies, including BP and Chevron (20). BP, as it is widely known, is responsible for the gulf oil disaster, which has been fully covered up by Obama’s administration (21). Obama has assigned Zionist asset Kenneth Feinberg to ensure minimal liability for BP and lobby aggressively for victims of the oil spill to take out-of-court settlements, eliminating government culpability (22). In a recent study conducted by the Center for Public Integrity, BP has been discovered to have produced 97% of the refinery violations in the US (23). Chevron is responsible for an even more devastating disaster in the Ecuadorian Amazon, where the corporate entity has dumped 37 million gallons of crude oil and wastewater between 1964 and 1990 (24). Chevron is also complicit in the atrocities being committed in Nigeria and has directly contributed to the ungodly oil spill that has ravaged the African nation for a disgraceful 50 years (25). BrightSource will be building its 370-megawatt power plant in California’s Mojave Desert, and it has already faced objections and protests from 8 environmental groups and several Native American tribes, due to the threat it poses to the endangered desert tortoise and many rare native plants (26). Representatives from the Colorado River Indian Tribe and the Mojave Indian Tribe have said that BrightSource threatens their tribal heritage, their homes, their religious freedom as the plant will be built directly on top of their places of worship, and the habitat of several federally-protected (and tribally-sacred) animals including bighorn sheep, mountain lions, snakes and hawks (27). In 2008, BrightSource launched the Negev Solar Development Center at the Rotem Industrial Park, near the Zionist entity’s illegal nuclear facility in Dimona (28). It is Dimona, where Israeli nuclear scientists and intelligence officials dump nuclear waste which has created an atmosphere of cancer and other radiation-related diseases in the southern regions of occupied Al Khalil and Al Naqab. While the Tel Aviv regime approved the distribution of iodine tablets to ‘protect’ people living near the Dimona reactor, it has never admitted to its illegal disposal of nuclear waste and materials. Palestinian physicians like Mahmoud Sa’ada, the co-founder of Palestinian Medical Relief, have determined that there is no plausible cause for the growing cancers and mutations in Al Naqab and Al Khalil except Israeli radioactivity (29). Israel has engaged in a malicious campaign of ethnic cleansing against the Palestinian Bedouins of Al Naqab since Al Nakbah of 1948, and has stepped up its racist, destructive policies considerably since the summer of this year, destroying one village, Al Araqib, four times in less than a month (30). To offset the increased coverage on international solidarity activism efforts to end the razing of homes in Al Naqab, and to cover up its horrific crimes of ethnic cleansing, the Israeli government approved a deal between Arava Power Company, owned by Yosef Abramowitz, and collaborationist Bedouins of the Tarabin and Abu Karinath clans (31). Abramowitz has served on the board of the ultra-Zionist World Jewish Congress (32), and lives on the Kibbutz Ketura, in occupied Umm Rashrash (Eilat), home to scores of illegal Zionist settlers turned environmental entrepreneurs (33). Arava and BrightSource work together very closely in Al Naqab to accommodate the Zionist entity’s solar energy needs (34). Obama’s generous administration wasn’t happy with providing just one Zionist energy company with a loan, so it has provided Arava with a massive loan as well, worth $300 million (35). It is important to note that the deal between Zionist corporation Arava and the collaborationist Bedouins hasn’t pulled the wool over anyone’s eyes; the ethnic cleansing in Al Naqab desert continues. The Zionist entity destroyed rebuilt homes in Al Araqib for a fifth time just two weeks ago (36), and Israeli bulldozers demolished four homes belonging to Palestinian Bedouin families in Khashim Zema on Monday, October 4th (37). The alliance between Obama, Tel Aviv, BrightSource, and Arava is a genocidal existential threat to indigenous peoples from occupied Palestine to California. With bloodstained operating capital money and a billion dollar Obama loan fresh in hand, BrightSource is now moving forward with an IPO in 2011. The Zionist firm has hired none other than Goldman Sachs and Morgan Stanley, two of the criminal banking institutions bailed out by Obama’s administration, to handle the initial public offering. Goldman Sachs was the largest contributor to Obama’s presidential campaign (38). Distinguished scholar, author, and activist Ali Abunimah, who first broke the story about BrightSource (39), commented in his follow-up piece regarding the BrightSource scandal that "Obama did not say anything about a BrightSource IPO, but nevertheless his boosterism about the company in a presidential address clearly has market implications. Obama's intervention on behalf of BrightSource seems particularly odd and inappropriate. He touted it as an example of creating American jobs with American technological ingenuity, and specifically warned against allowing jobs and ‘competitive advantage’ to flow to India, China or other foreign countries. But as an example of supporting domestic clean energy industries, BrightSource is at best a dubious case. Many of the jobs will be created and stay in Israel, and the high-tech benefits and patents are also being developed in Israel (40)." While Israeli cleantech companies have taken a major hit and are unable to secure venture capital due to the slow recovery in the ‘green’ sector, BrightSource, Avara, and another Obama-funded company, Ormat Technologies, are thriving. Obama has guaranteed Ormat $350 million in loans for three geothermal power plants in Nevada (41). Ormat is also building a 120 megawatt solar power plant in Ashalim, an illegal Zionist settlement in Al Naqab, populated with Israeli students and entrepreneurs strengthening their relations through the Ayalim Association, founded by a group of IOF veterans in 2002 (42). Ormat is owned by the ardent Zionist husband and wife team of Lucien and Yehudit Bronicki. Lucien serves as a member of the Executive Council of the Weizmann Institute of Science, which has several interdisciplinary programs closely tied to Israeli intelligence; he has received the Rothschild Award for Innovation, which is handed out by the Zionist entity’s president; and in 2005, he received honors from Ben-Gurion University of the Negev, a key research center for Israel’s nuclear program (43). The BrightSource scandal has emerged during the latest round of fraudulent peace talks, this time between mass murderer Benjamin Netanyahu and the treasonous collaborationist Abbas-Fayyad Palestinian ‘Authority.’ It is just one more example that the parties involved have no interest in securing peace in the region, only perpetuating the unrelenting and illegal Zionist occupation. 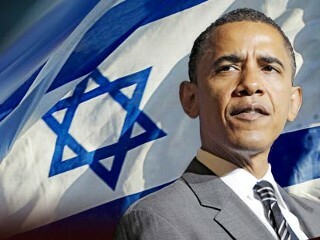 Additionally, it is an excellent example of Barack Obama showing his true colors once again: Israeli blue and white. Obama was designed by Zionists from the inception of his political career, and from the moment he was selected as President, he has done nothing but kowtow to Tel Aviv’s every whim. He is not a friend of the Palestinian people; he is their enemy’s willing partner, and their blood will stain his hands for the remainder of his existence. Peace talks will be considered legitimate when the US stops sending billions in military aid to Israel. When the torturous blockade against Gaza is lifted. When Israeli planes stop dropping bombs on the coastal sliver. When Zionist occupation forces stop shooting innocent men to death on their way home from work (44). When illegal settlements stop being built. When Israel stops detaining, assaulting, and murdering activists in international waters with impunity. When ethnic cleansing stops. When lemon trees and olive trees stop being uprooted. When Gaza fishermen stop being shot at and killed. When thousands of Palestinian prisoners, including young children, are released. When Palestinian women stop being raped. When Palestinians can travel to their places of worship without being harassed or beaten, or both, or worse. When the people choose their own governments and aren’t subjected to collaborationist marionette regimes. When every single Israeli bulldozer is destroyed. When Israel’s murderous politicians are prosecuted for crimes against humanity. And when Zionist companies complicit in several of the aforementioned crimes like BrightSource, Avara and Ormat stop receiving billions in taxpayer monies under the guise of federal loans. Palestine will know peace when the Zionist entity is completely dismantled and its racist ideology is buried beneath its ashes. Once Zionism ends, the occupation will end, Palestine’s lands will be liberated and the right of return for its people will be implemented. A steadfast commitment to this discourse, along with the dignified Resistance of Palestine’s magnificent people, and the BDS efforts of activists from all over the world, can make the Zionist regime’s demise a hastened reality. Any other option is co-opted by the occupier. And anyone adhering to such a crooked path, is dwelling in the realm of delusion.